It’s Ammon again. I’m still alive though many might say I stopped “living” nearly 2 years ago when I came back to Vancouver. 2 years ago I dreaded being in the position I am now and would have agreed. It is a very different kind of life actually having some kind of schedule and responsibilities more than just continuing to have amazing adventures and keeping a blog updated once in a while. I’m not gonna lie, I miss that life. A lot. After passing the training course in February I moved out with my girlfriend, Sasha, to a small apartment in south Vancouver to be closer to work. Believe it or not it is the first time I’ve actually lived on my own and played “grown up”. It’s a work in progress…. With all these changes and commitments it has been impossible to do any travelling up to this point and after 2 years of not going anywhere and listening to friends (and sister’s) stories of travel to make me jealous, it became necessary to do something, anything to have a little taste once more. 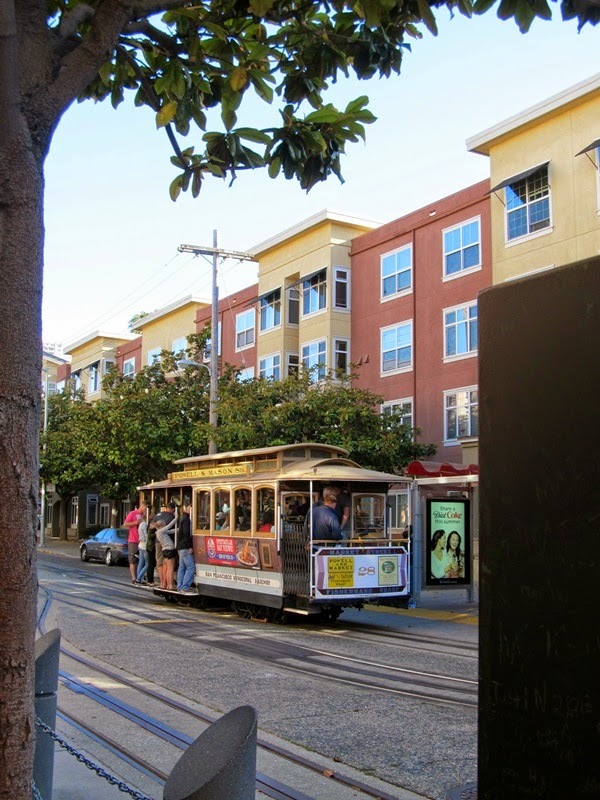 Only able to get a few days off together and with its close proximity, San Francisco became the destination of choice. Sasha hadn’t been there and believe it or not, despite roughly a dozen previous visits to California, neither had I. It’s just over a 2 hour flight away so we found a seat sale, catching the first flight out on a Saturday morning and the last flight home on the Monday night. This would be not only a test of how well the 2 of us travel together, but also how well this style of travel works for me in general. We arrived in the morning and met up with Jim right away at a cafe in the North Beach area and had a duck lunch at a nearby Chinese cafe. I haven’t had duck since Malaysia and that brought back a few memories. We drove out to the coast and through Golden Gate Park (which, oddly enough isn’t the park right by the bridge) before stopping for a quick walk around the Haight-Ashbury area. 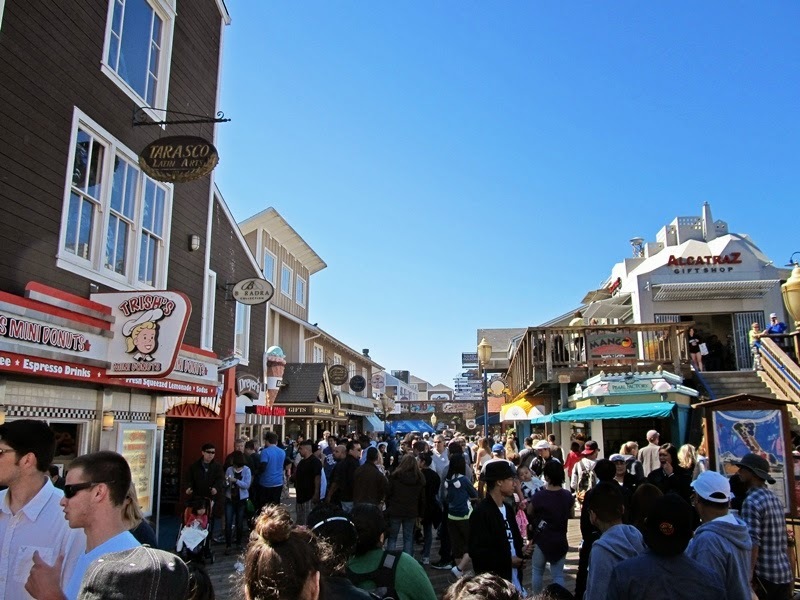 This is the neighbourhood made famous as the start and center of the hippy movement though nowadays it is mostly a tourist attraction of hippy-themed shops and cafes. 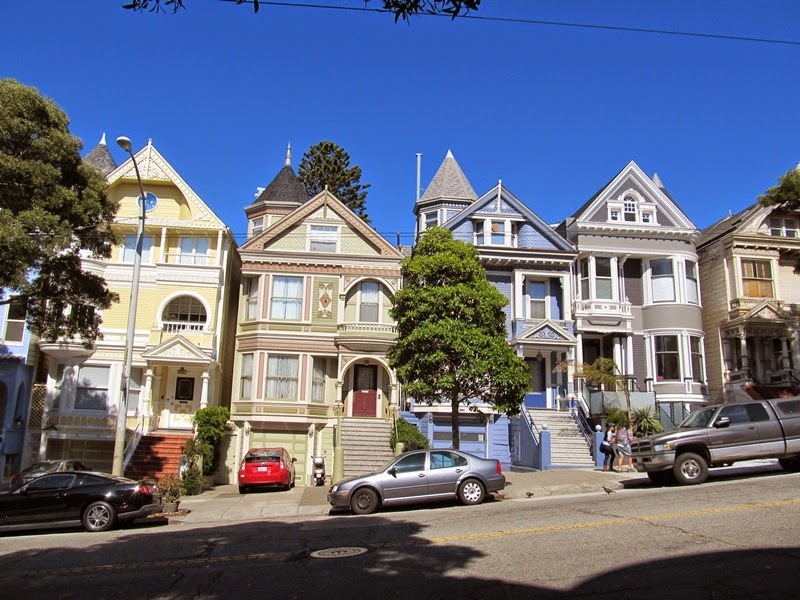 We did a quick up and down the street and saw some nice Victorian houses on the streets a block removed from Ashbury. 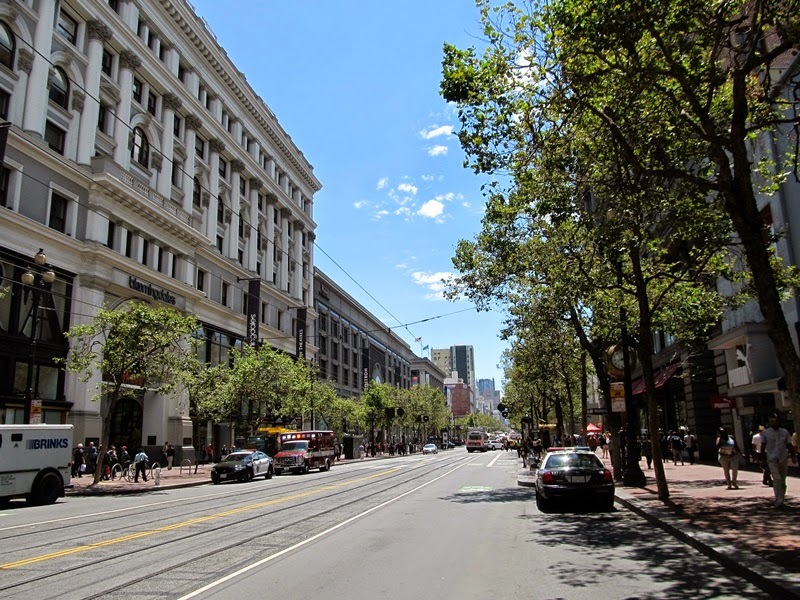 Next was a quick drive down Castro street, the epicentre of the LGBT community in SF, the largest in North America, but in all honesty, I didn’t notice much looking out the car window. Maybe I’m too used to it, or maybe I just find Davie street in Vancouver to be more visually aggressive in its declaration. Our last stop of the day was in Mission, a traditionally Mexican neighbourhood. 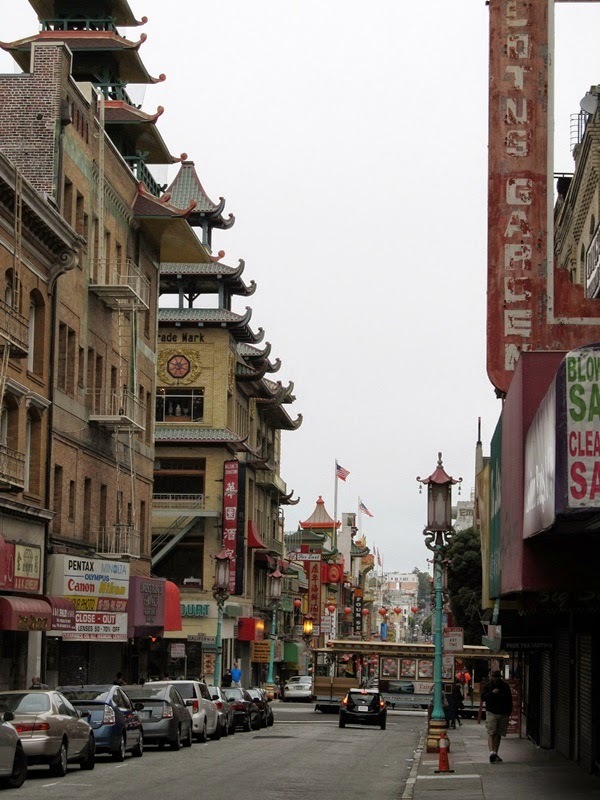 Parts of Mission are kind of sketchy and other parts are becoming gentrified, but we tried to stick to areas, particularly along 24th avenue, that still have that traditional feel with the simple family shops and restaurants. At times you could almost believe you were in a small Central American town. 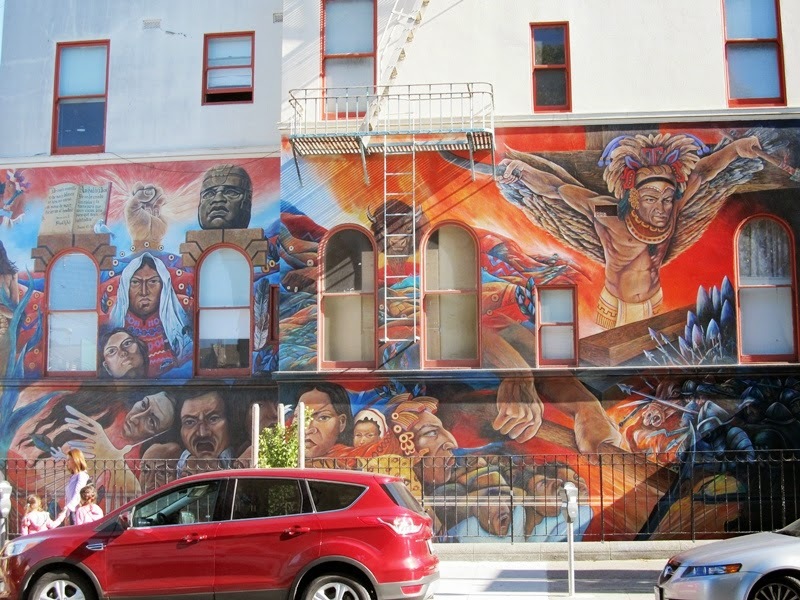 Mission is also famous for it’s many large murals in it’s alleys and on the fronts and sides of buildings depicting a huge variety of scenes. Don’t ask me how that got started but some of them were quite impressive. Two of many murals in Mission. After a long and full day we said our goodbyes to Jim and checked into our simple and central hotel right on the edge of Chinatown, our first destination the following morning. Vancouver was recently declared to be, by percentage of it’s population, the most Asian city outside of Asia (SF was 3rd on that list) and having spent time in China, I found Chinatown to be, well, normal. 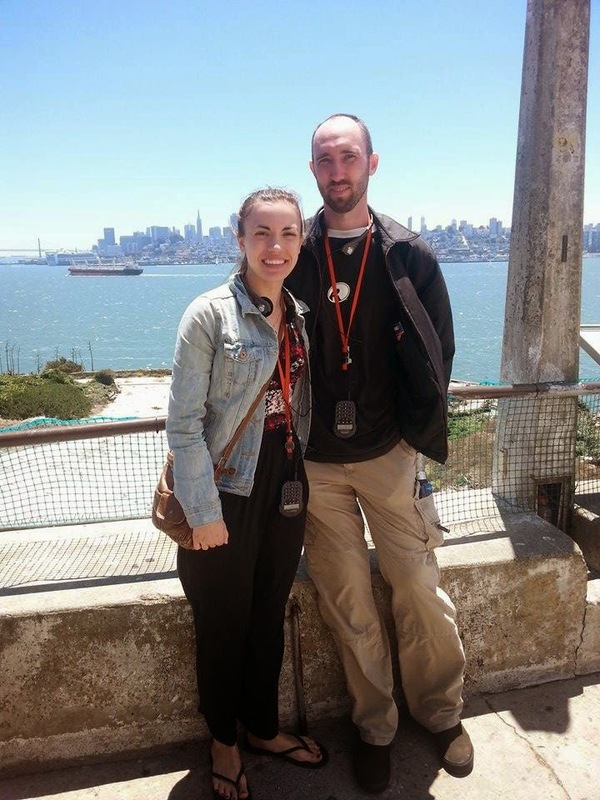 The highlight of day 2, our only full day in SF, was a trip to Alcatraz island. 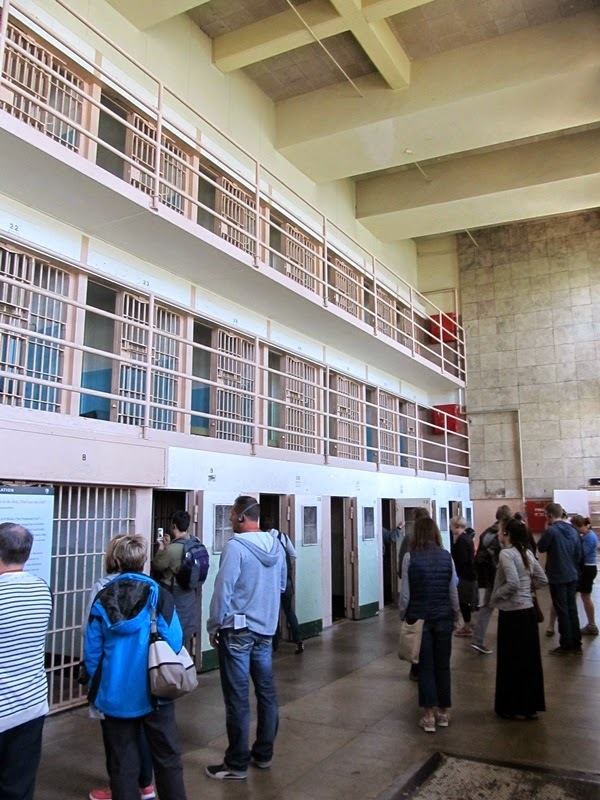 Alcatraz is a popular attraction and has a limited capacity, tickets sell out fast and often over a week ahead of time for the most popular time slots. We’d bought our tickets well in advance online. Boats to the island only take about 10 minutes and run every half hour so when you buy a ticket you have to pick a time to go. 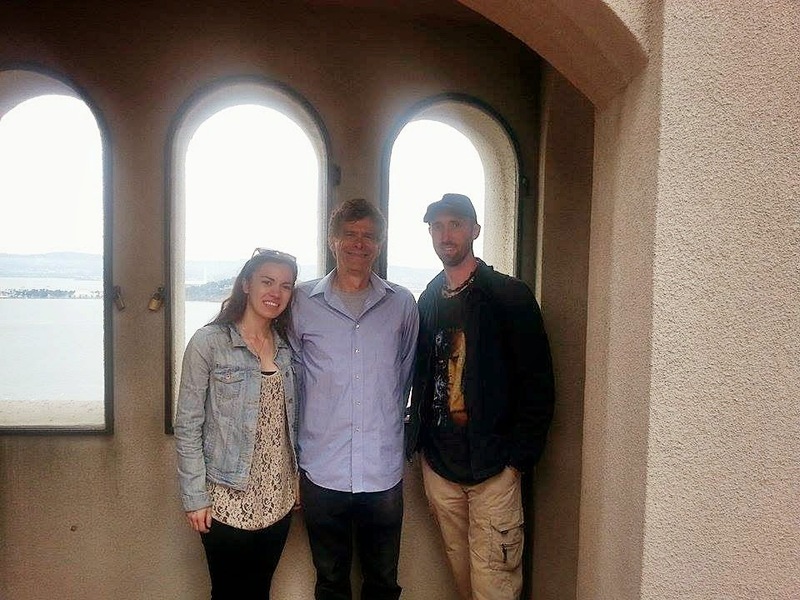 Once you’re on Alcatraz you can take any boat back so are free to spend as much or as little time as you want. We were there about 3 hours which is pretty normal. I thought Alcatraz was cool. I hadn’t realized ahead of time how close it is to the mainland and that there was history to it other than as a prison. 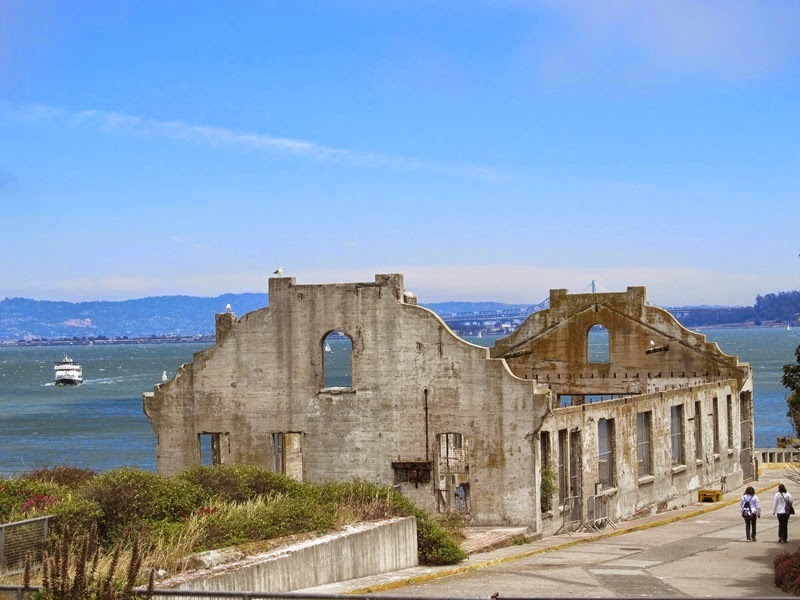 It was originally built as a military fort during the civil war to protect the bay as SF was the most important west coast city at the time. It didn’t see any action. In the 1930’s it became the prison it is most famous for and was shut down in 1963. From 1969 to 1971 it was occupied by Native Indian protestors and of course now it is an attraction as part of the National Park system. There is an audio tour through the actual prison building and you can walk around the rest of the island on your own to see other displays or the ruins of other buildings. I liked it because I like forts and ruins, and this was a mix of both though it might be the first time I’ve seen a ruin where people are still alive to talk about working and growing up there. I had no idea that most of the prison guards lived on the island too with their families. The island itself is pretty small. I can’t imagine being a little kid and growing up right there beside the most dangerous prisoners in the US. Isolation cell block in Alcatraz Most of the other buildings on Alcatraz are just ruins now. 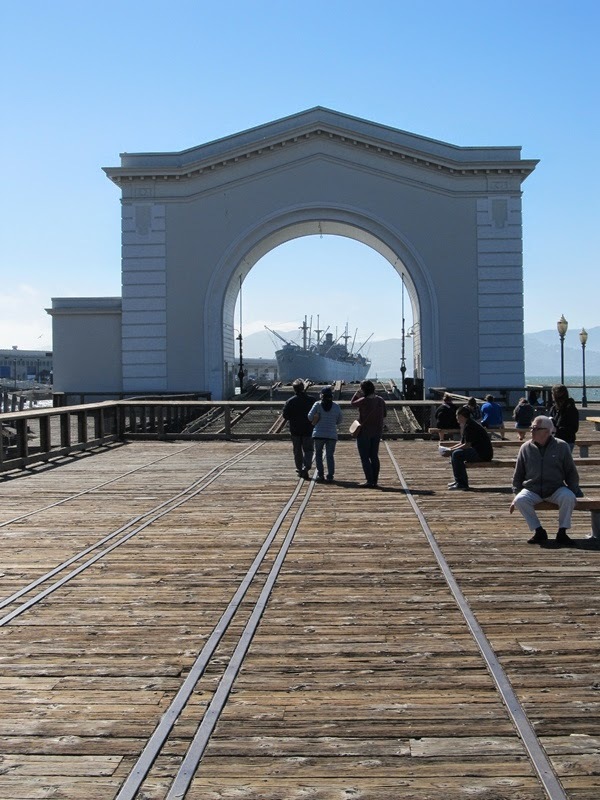 After returning to the mainland, Sasha and I wandered through the tourist trappy Fisherman’s Wharf area, had a bowl of clam chowder in a sourdough bread bowl like everyone else, and went to see the sea lions at Pier 39. 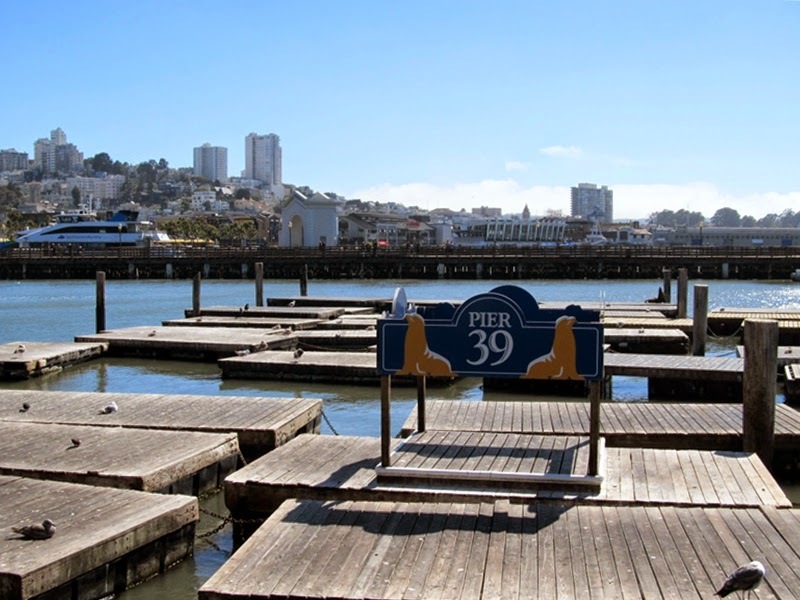 Where are all the sea lions? There is one in the far back. Another reason not to visit SF in the summer. Not only is that the worst time for fog, but most of the sea lions are away breeding during the summer. We saw a total of 3, when they’ve had over 1000 at other times of the year. Not that I’m complaining. We actually had a very good trip overall. Another “attraction” that we never got to do was ride the cable cars. We saw lots of them, got plenty of photos but every time we looked the line-up to get on one was about an hour, which was longer than the walk to get where we wanted to go. Maybe it’s the system capacity or to be nice to all the rest of the traffic, but it seems that the cable cars don’t run very frequently. Both the cars and the passengers would be lined up waiting to go for quite a while. 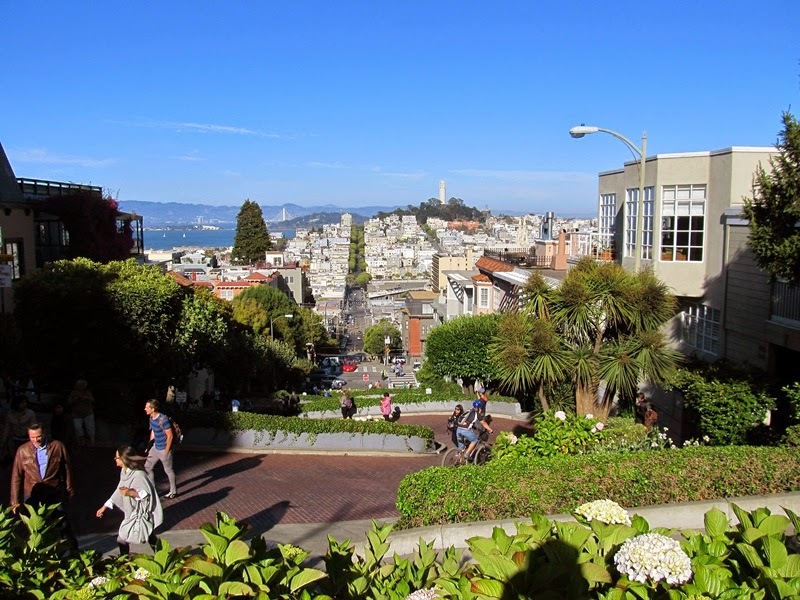 So we walked up Russian hill and back down Lombard street, the super famous twisty road down Russian hill. 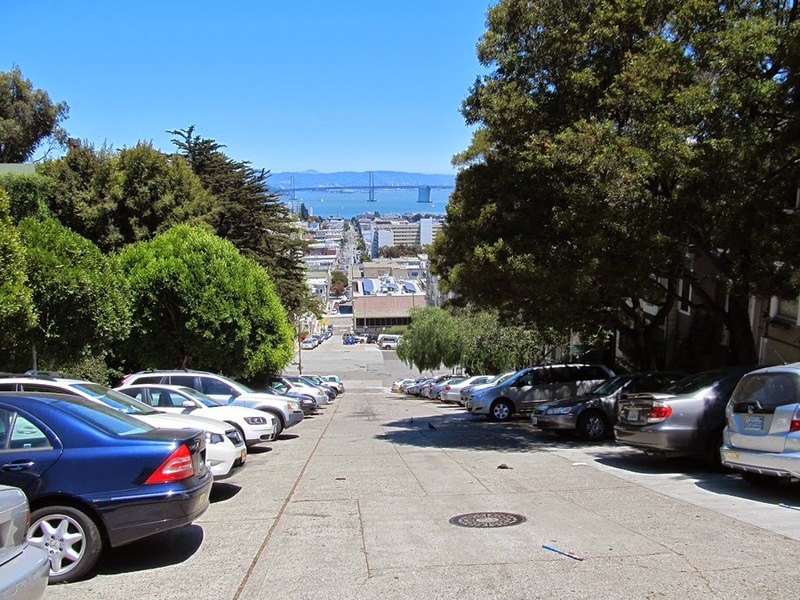 I don’t know what the story is behind this street but all the parallel streets are straight and very steep. The entrances into people’s driveways look really awkward as do the cars parked sideways on the street and look like they’re going to tip over and roll down the hill.